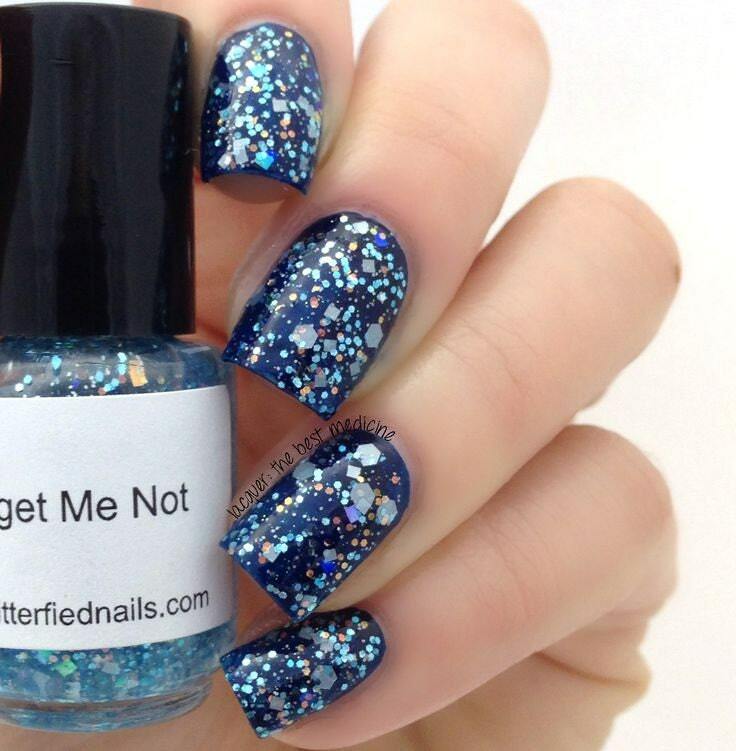 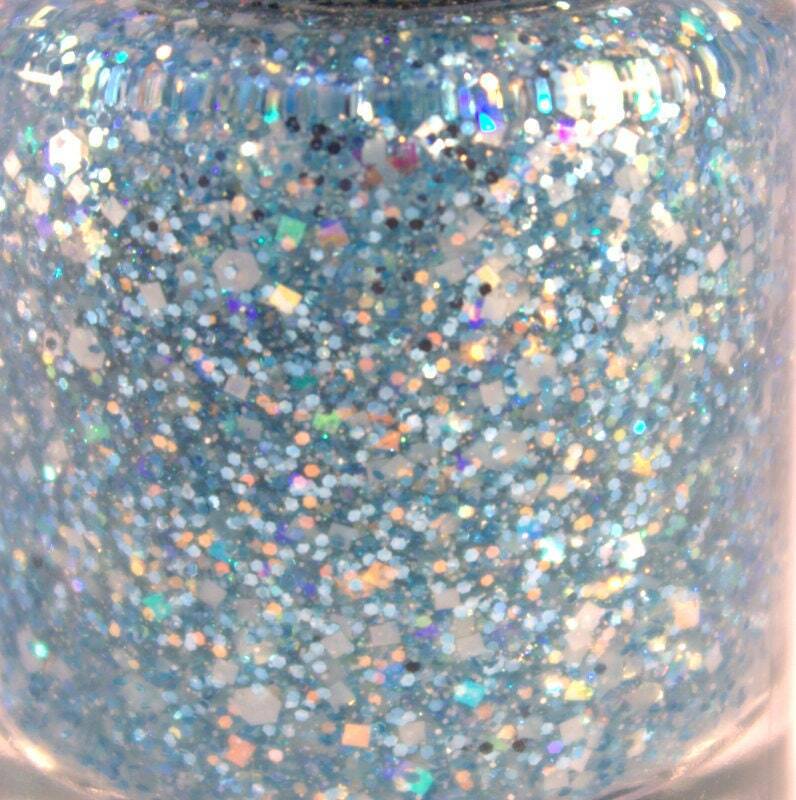 Forget Me Not - A 5 free glitter nail polish in beautiful shades of pale, pastel, baby blue, sky blue, and aquamarine accented with iridescent glitters in a clear base. 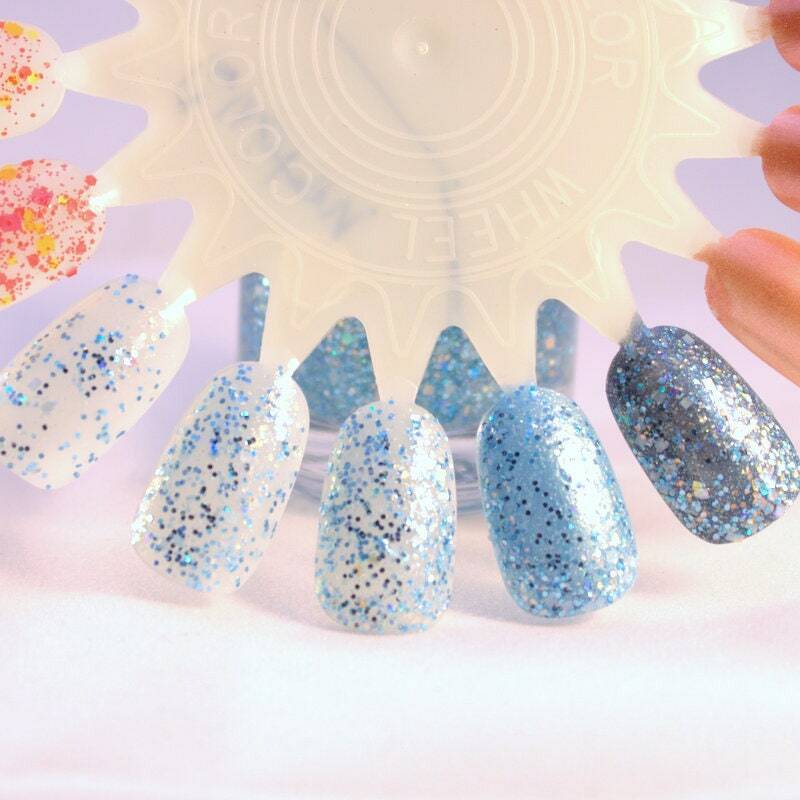 Wear alone in 1-3 coats. 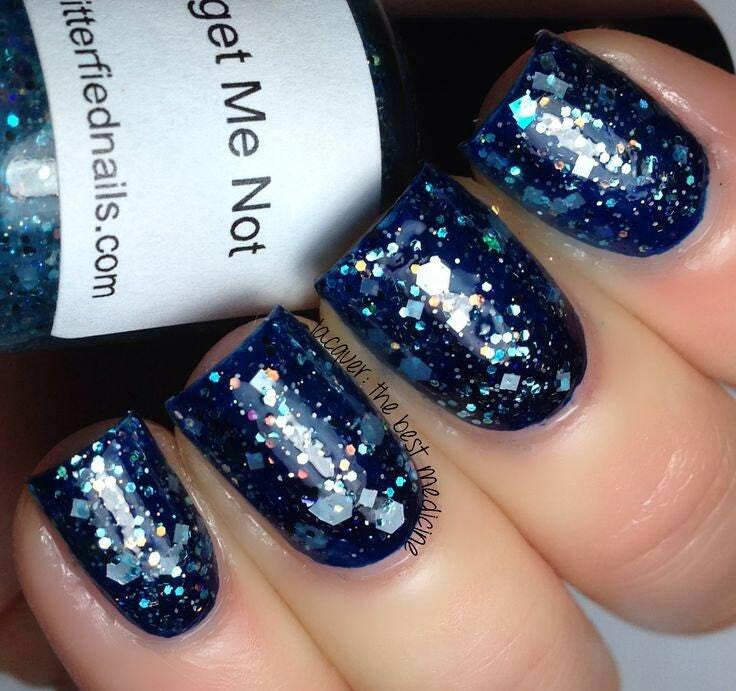 Looks amazing over darker blues and black.